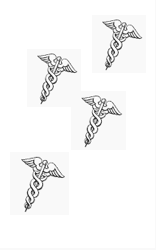 For decades and decades we have been counting the number of doctors in America. For decades and decades we have been coming up short compared to other developed nations, and some less developed ones as well. A poorly educated person may be tempted to suggest that we should “make” more doctors. After all, there is hardly a shortage of young people willing and able to undergo the rigors of a medical education. But luckily we are not poorly educated, so we devised much smarter solutions. If people can’t get a doctor appointment, it must be the doctor’s fault. Hence, we put our foot down and mandated that doctors see people the same day they want to be seen, or shortly thereafter. It sounds great and it worked perfectly for the Veterans Administration (VA), so it should scale terrifically to everybody else.Taking a page from the highly respected Samuel Hahnemann, we decreed that physically “seeing” an actual doctor is not only completely unnecessary, but it may very well be detrimental to the healing process. A doctor effect is created by simply having an MD somewhere in the building, and as technology continues to improve, a virtual doctor presence should do the trick. Some have argued that Mr. Hahnemann’s homeopathic fantasy is no better than a placebo, but we have plenty of research showing that placebos are indeed effective. More importantly, unlike Mr. Hahnemann’s distilled water base, our technology solvent is very potent on its own merits. Imagine how successful homeopathy could have been if they used whiskey to dilute whatever the hell they are diluting. But, but, but… Singularity University is now reporting that health care will be AI/robot delivered, clinically inerrant, and “essentially free” in a decade.